Having a professional lawn and landscape company maintain your investment saves you from having to spend your weekends sweating out in the yard and hours of performing routine maintenance on your lawn equipment. By using The Lawn Barber you are ensuring your lawn a consistent, routine maintenance schedule that is virtually hassle free. Find out what services from the Lawn Barber are right for you! 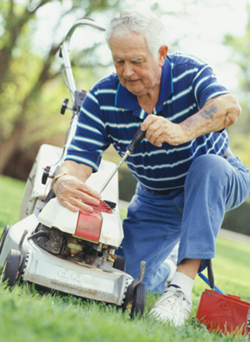 Visit our lawn care services page.